So I was delighted to have a chance to interview Gwen Katz on New Books in Historical Fiction. 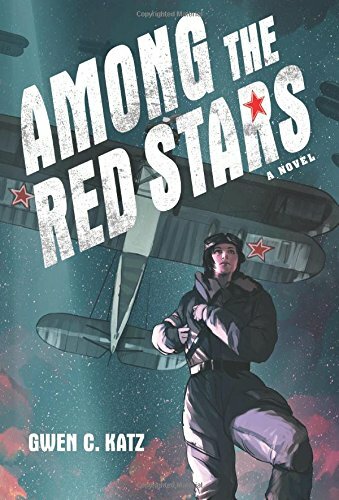 We discuss her debut novel, Among the Red Stars, which looks at the women who flew for the Soviet Union as combat pilots. Through the lives of an appealing and courageous bomber pilot, her dedicated but (through no fault of her own) politically suspect navigator and cousin, and the pilot’s best friend, a young man drafted into the Red Army as a ham radio operator, we get a full and fascinating introduction to this little-known element of the Second World War: women who battled to take part in the fighting and men who would much rather have stayed home. And don’t forget to check out her website, linked in the paragraph above, where she has a collection of artworks linked to the book.